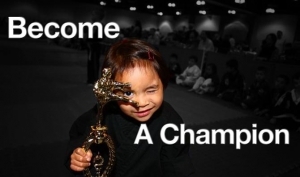 Champions Karate Dojo, Accept your limitations or Become A Champion. Hard work, discipline, integrity, grind, honor, and respect are just a few of the key components of ours here at CKD. “If you always put limits on everything you do, physical or anything else, it will spread into your work and into your life. There are no limits. There are only plateaus, and you must not stay there, you must go beyond them.” ~Bruce Lee. For more information call Sensei Chris Crisostomo 626-552-2590.